Lose weight, buy a new car. Spend a half hour exercising at least three days a week, take a luxury cruise. Reduce your stress at work and at home, remodel your kitchen. Quit smoking, sock away a couple hundred thousand dollars for retirement. How sweet life would be – and what a great motivation to stay or get healthy – if we all received such direct benefits from investing more effectively in our health. The truth is, while there isn’t a cruise awaiting us at the end of every jog, the lifetime returns that better health deliver are real, sizeable and far more reliable than any money you risk on the stock market or other trendy investments. A good, strong heart may be priceless to you and your loved ones. But there is also a financial benefit that you can count in terms of a longer and more productive work life, and fewer doctor, medicine and hospital bills. What you don’t spend or lose tending to your sick self can really be better used for life’s many pleasures – including building a secure retirement nest egg. 1. Get more sleep. Not a bad way to kick off your new healthy lifestyle. Most of us short-change our sack time to crowd in more and more activities and chores. The price we pay? High blood pressure, type 2 diabetes and impaired concentration. Try for at least 7 or 8 hours each night. 2. Got milk? If not, get some. More precisely, get some extra vitamin D, ideally 800 to 1,000 international units (IU) daily. A single glass of milk will deliver about 125 IU. You might also try cheeses, yogurt, salmon, almonds and fortified orange juice. A lack of vitamin D is linked to osteoporosis, depression and chronic fatigue, among other common symptoms. 3. Chill out. People who live stressful lives suffer more heart attacks and strokes. Beating stress needn’t be painful. Go for short walks. Take mini-vacations by listening to your favorite music on a break. Take up yoga. Throw darts. 4. Get a pet. The Centers for Disease Control and Prevention reports that pets can lower both your cholesterol and triglyceride levels. Petting your dog or brushing your cat has a calming effect on both of you. Moreover, pets increase the likelihood that you’ll get outdoors more and socialize with other pet owners – both activities that the CDC says are good for your health. 5. Lose the Salt Shaker. None of us need extra salt in our diets. We’re already showered with the sodium crystals contained in the packaged and restaurant foods we consume. 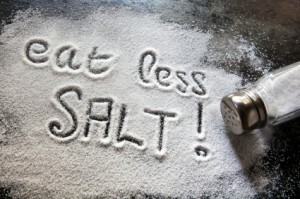 Experiment with the many varieties of salt-substitutes if you otherwise find your meals too bland. The Center for Science in the Public Interest reports that high-salt diets cause 150,000 premature deaths in the U.S. each year. 6. Wash Your Hands More Often. Handshakes, stair banisters, elevator buttons, door handles and a million-and-one other objects that we come in contact with routinely are breeding grounds for germs and the infectious diseases they can bring. Carry a pocket-size container of hand sanitizer for those times when soap and water are unavailable. 7. Stop Speculating on Wall Street. Okay, so this is blatantly self-serving. But entrusting your life’s treasure to the ups-and-downs and further-downs of the stock market really can shorten your life – or at the very least, squash your enjoyment of it. Just ask anyone of the tens of millions of Americans who saw 40% to 50% of their wealth evaporate in a flash during the stock and real estate crashes of 2008 (not to mention the crash of 2000) how many years of aggravation those disasters cost them! The cure: Substitute a Bank on Yourself plan for your mutual funds or stock portfolio and sleep better at night, afford a new pet, take a sunny vacation (and soak in some natural vitamin D), eat quality packaged foods and at restaurants that don’t need to salt their food to make it taste great, buy hand sanitizer by the case, and wave goodbye forever to your investment stress.